Addressing the South African National Energy Association’s (SANEA’s) recent Energy Rendezvous event, Nedbank’s Mike Peo said that while everyone speaks of the grand energy transition, change must be for the benefit of everyone or it will be meaningless. 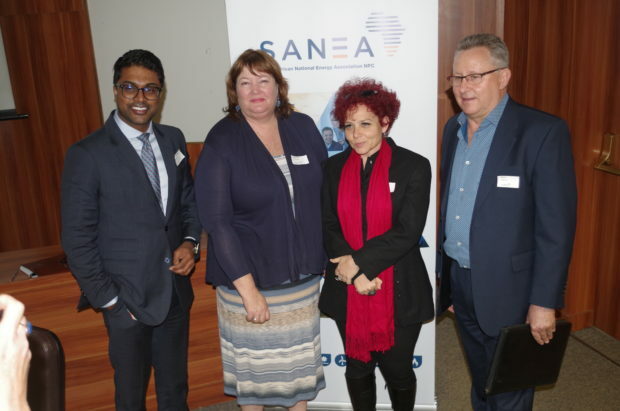 Using the theme of “Taking issue with the issues”, SANEA’s event consisted of a panel discussion to debate some of the issues raised in the World Energy Council’s recently published World Energy Issues Monitor Survey. From left: Avesh Padayachee, Wendy Poulton, Dr Dana Gampel, and Mike Peo. The panel comprised three industry specialists: Dr Dana Gampel from Eskom’s strategic intelligence and systems division; Avesh Padayachee, the CEO of Fibon Energy; and Mike Peo, the head of Nedbank’s infrastructure, energy and telecommunications financing arm, who discussed the report’s findings from an African – and especially a South African – perspective. SANEA’s Wendy Poulton introduced the panelists and gave a short presentation introducing the topics the panel was to discuss. Question one: What is missing from the report? Greater focus needs to be given to diversification and decentralisation which will provide the growth path Africa needs. This is different to what OECD countries need so the report should show the difference. Africa, being a non-OECD continent, should be viewed as a “blank sheet” because it has so many (about 600-million) citizens who have no access to electricity. South Africa is more OECD than non-OECD by virtue of its sophisticated electricity generation, transmission and distribution systems. Many African countries should be compared to India rather than South Africa. These African countries cannot wait for existing power utilities to provide the 600-million new connections. The only way in which these connections will happen is if the private sector does it. Large scale decentralisation, with regulations to control it and government programmes to support it, will result in the democratisation of energy, but smartgrids need to be financed. Central governments and private funders should cooperate to improve the speed of completion and ensure that universal access to electricity becomes a reality. Regional integration with electrical interconnections will make trade – not just electricity trade – between neighbouring countries easier and more successful. Therefore, the report should take cross-border collaboration into account. The report should also tariffs, grid stability, reserve capacity and policy. The development of mobile cloud computing and big data in the energy sector is likely to result in an increase in e-metering. The report should consider South Africa’s National Development Plan (NDP) and how energy can assist in the alleviation of poverty and the economic growth of a country. South Africa’s NDP influences the decisions reached in the compilation of the country’s Integrated Resource Plan (IRP) so that market design must take local socio-economic needs into account when independent power producers are awarded contracts for new generating plants. Question two: What effect is the pace of change having on the sector? Governments should differentiate between what is legal and what is planned. There are many privately-owned generation systems (mostly rooftop PV) in use in South Africa. These are legal but not necessarily planned for in the country’s IRP. Many African countries are unable to fund large projects which have been planned for, making small-scale generation projects more popular and easier to finance from private sources. A number of East and Central African countries are collaborating in cross-border interconnections which provides more power to more people. Question three: How can the sector increase the pool of skilled people needed to manage this transition? Talent is always mobile. People with skills are always in demand and those who are willing and able to relocate for better pay and standard of life will do so. Skills often vary from region to region. She said that she has seen under-educated technicians achieve amazing things to keep a substation operating. However, cross-border interconnections will require local people to be upskilled to comply with the requirements of foreign-made electrical equipment. A delegate suggested that although small-scale projects may be easier to get funding for large projects will still be needed because of the economies of scale large projects provide. Peo responded by saying that it’s true that large projects will be needed, but smaller ones – which are built while large ones are being planned – bolster the country’s power capacity quickly. Furthermore, he said, international direct financing institutions tend to set the rules regarding the technologies they will provide funding for. Coal-fired power is becoming very difficult to find private funders for, he said. Responding to a question from the floor about the ever-decreasing costs of modern technology, Dr Gampel said that this trend is likely to continue. As tariffs for utilities increase, the installation of rooftop PV systems – which is getting cheaper – becomes more attractive. The growth of commercial properties with rooftop PV demonstrates the truth of this. The “grand transition” as the World Energy Council calls the change from centralised to decentralised, and from fossil fuel to renewable energy sources, is closer than most people think, she said. Poulton said that the World Energy Council’s nineth World Energy Issues Monitor Survey has created a vision of what the world’s energy systems could look like in 2060, but Africa needs to transition quickly if it is to provide clean energy to the 600-million people who do not yet have access to electricity. This provision, the panelists agreed, is crucial if Africa is to develop economically, create jobs and improve the standard of living for all its inhabitants. SANEA, the South African Member Committee of the World Energy Council, holds monthly Energy Rendezvous events in various centres. These events focus objective thought around pertinent energy-related issues in the context of the South African energy sector. 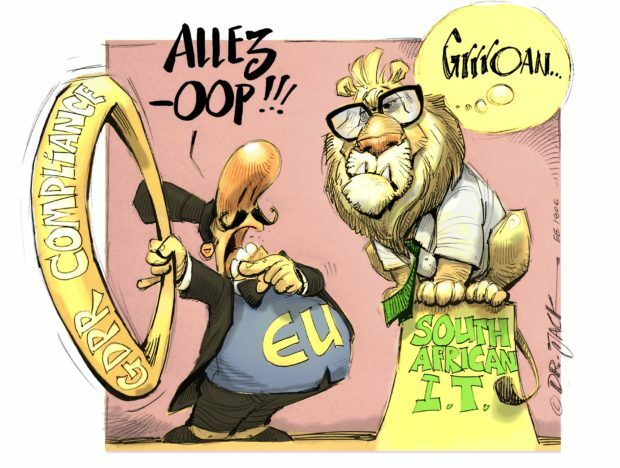 The next meeting will take place in Cape Town in September.